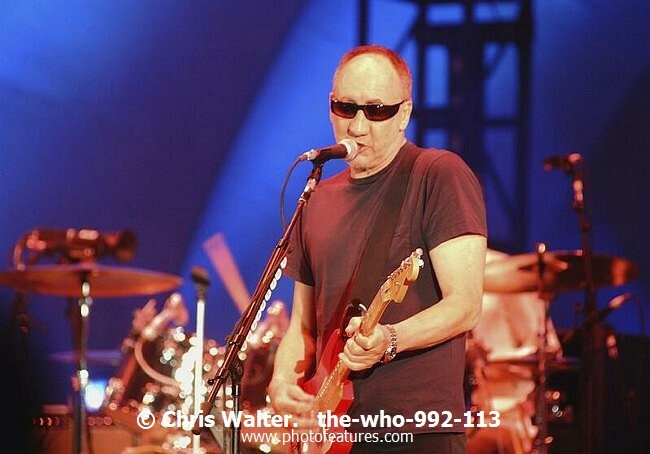 Photo Caption: The Who 2002 Pete Townshend at the Hollywood Bowl at beginning of their first show after the death of their co-founder John Entwistle. At left is Pino Palladino. The Who 2002 Pete Townshend at the Hollywood Bowl at beginning of their first show after the death of their co-founder John Entwistle. At left is Pino Palladino.